T minus two days... and kidlets will be out for summer (if you count these partial days til 10:30). I think we all have the time-for-school-to-be-done-already-summer fever around these parts. Last night I was quizzing my daughter on Hiduism, the Great Wall of China, Mesopotamia as well as plenty of other unfun historical tidbits. And little man is trying hard to stay on task. It seems cruel to still have projects and looming tests in June. Particularly with these beautiful sunny days in the high eighties teasing us and friend's trip photos plastered around the net. Even with all of the snow make-up days in Iowa, I can't recall ever getting out this late. Does anyone else remember summer break being Memorial Day to Labor Day? It seems to be shrinking with every passing year. And summer days don't have that same unstructured bike, swim, run the neighborhood til dark and catch lightening bugs kind of feel. Sometimes I long for those simpler, carefree days before wi-fi and handheld devices. Although I have always really enjoyed time with the kids, each year seems more challenging as hormones and attitudes become more pronounced. I can't help but reminisce back to days gone by and mourn my babies just a wee bit. Especially when that nasty B word creeps in. And it seems to come in high pitched whines to boot these days. "I'm B-O-R-E-D." The one word no mom wants to hear twelve hours into break. I may have to incorporate my friend's "I'm Bored Jar" filled with all sorts of chores to help them out when they've forgotten how to entertain themselves. Pretty ingenious if I do say so myself. To further ensure a summer free of boredom and unnecessary drama (which is not limited to toddlers in case you were wondering) I've also lined up pool passes and summer camps and have drafted a condensed bucket list that hopefully even my 11 and 13 year old can get excited about because I'd love to savor every last minute with them, even if I'm not as cool as I once was. This may not make for the spontaneous kind of adventures I long for, but it certainly is a great tool to give kids some direction and purpose during the summer months. So, for all of my North American friends heading into those warm, sun filled lazy days (a girl can dream)- here's an 8 1/2 x 11 printable for you. Hang it on the fridge or bulletin board. Or get fancy and throw it in a frame. You could even use a dry erase marker on the glass. If you missed my 2012 "50 Things to Do Before Summer Kicks the Bucket" List, you can grab that one here. If you want a more simple version, this one may hit the spot. If you have Photoshop or Elements you can customize the words or colors to your liking. Perhaps you have family traditions or unique spots in your area that you'd like to add. Or you'd like to tweak the colors to match your kitchen or family room. Have at it. If you don't have these editing programs, I'd be happy to tweak it for a $6 fee. There's also a JPG available- just download, print and start checking. And I have a fun giveaway going on through Tuesday, June 11th at Midnight. 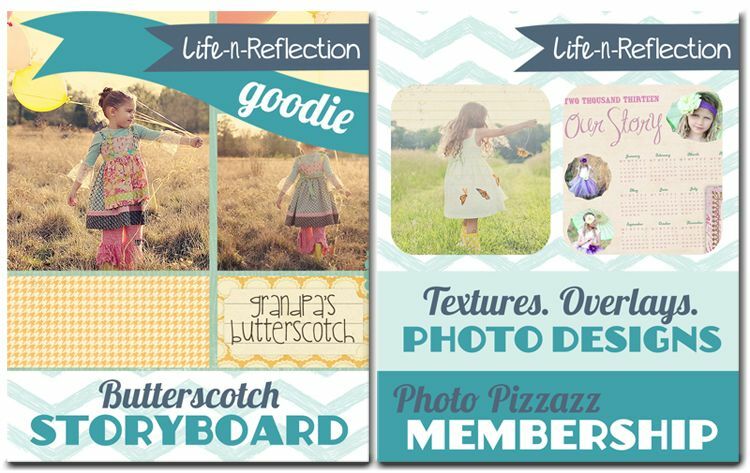 Kristy of Life-n-Reflection has a Photo Pizazz Club Membership now available and she's giving away a year's worth of fun and goodies plus a Science of Textures Class right here at Project Alicia. Make sure to enter to win this awesome giveaway! Sounds like some easy, rainy day activities with the kids. You can find more freebies here. Happy Summer! In case you're new here, this is Wordless Wednesday. But as you can see, I have a hard time keeping it wordless, so Wordful or Not So Wordless posts are always welcome here. You can grab my button in the sidebar but it is not required to participate. Just grab any photo and come link up! And if you'd like to connect with other WW participants, click HERE or one of the thumbnails below. It's a fun way to meet some new folks! Well, we are going on a road trip in July. So one of those 'bucket list' items is as good as completed. i'll see about the rest. So excited for the bucket list! Me too! I'm so ready for summer! This is really cool. Love the ideas. We are going from California to Jersey for our daughter's wedding. We decided to drive and see this glorious country of ours. Sounds like an adventure! Have fun! You have a great bucket list. 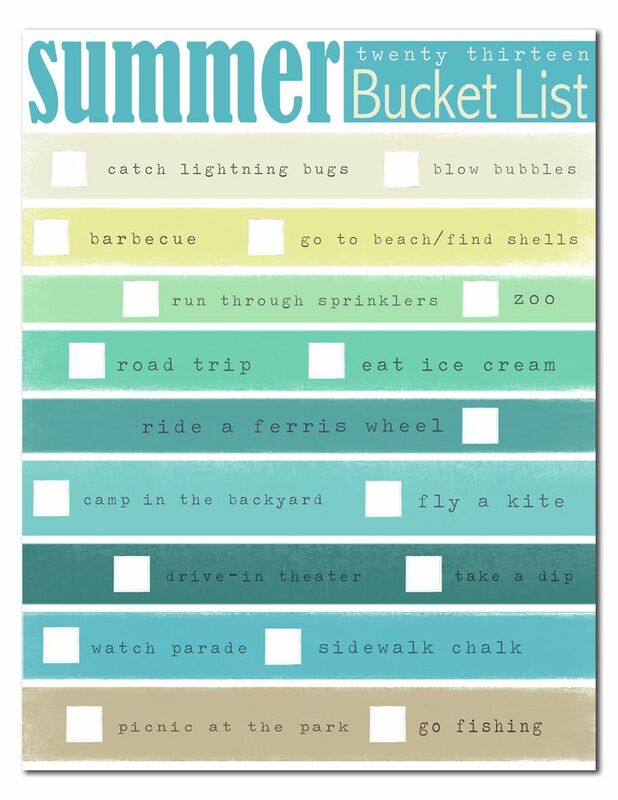 Looks like your bucket list could keep you having fun all summer!! I think it’s really easy to reminisce the past and forget the parts that were difficult. For example, if I think hard, while I can remember the bike rides, and softball games…I can also remember the hot muggy days with no air conditioning where we would just sit in front of the isolating fan sucking on freeze pops. Sounds like you have a whole Summer worth of fun planned out. Good luck! Alicia, I know it is hard now that the kids think you aren't the total essence of coolness - I remember when Son figured that out, and it was a sad day for me, too. However, keep your chin up - someday they will figure out that having you along is cool once more (in addition to being a handy source of funds when needed!) Son and I have gone to one convention (and have plans to attend another, later this summer), and it is fun for me to see what his passions are - and he doesn't even mind the occasional photo-op! Love the bucket list! I'm going to make one. That sounds like a great list to me! Thanks for sharing it. I grew up here in VA and we've had school from Labor Day until the first or second week of June for as long as I can remember. We homeschool now though and go year 'round, but cut back to part time in summer. Kids here have been out for two weeks already - love the difference in traffic! Thanks for the list! It's so similar to what we usually have on ours that I'm going to print it for this year. We've already caught lightning bugs. They seems to be plentiful this year. Love the printable- I'm sure with the kids out of school you will knock off a bunch of those pretty quick. As for summer break- we always got out the second week of June & went back the day after Labor Day- that was how it was in SoCal. But since I dictate our schedule for my kids- we work through summer & take the holidays off instead. Should wrap up the year come late Sept & call it good. What a wonderful printable! I actually shared about my summer bucket list today ;-) Other than that...pretty much will be playing it by ear...we shall see what wonderful things I can discover this summer. Love all your freebies! Thanks for sharing. I love your summer printable!!! Wishing you a great Summer!! I was just informed we will be taking a short trip to California for just overnight, will be fun as I have never been to Palm Springs. Thanks for stopping by Oh My Heartsie today to link up each week, I appreciate it. they are still in school??? what??? ?